We rely on water for all aspects of our lives. Often with hardly a thought we wash, drink, flush, swim, excrete and waste water. Do you know where your water comes from? How it got to the tap you just turned on? Where it goes after that loo flush, hot shower or car wash on the driveway? How does our water use influence the state of our rivers? 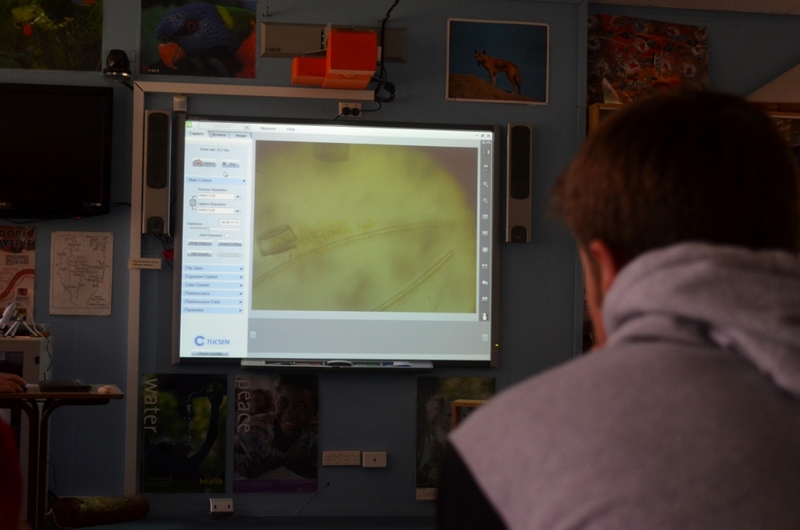 Students who visit us to study river ecology discover answers to these questions and many more as they “Check the Pulse of the Hawkesbury River”. 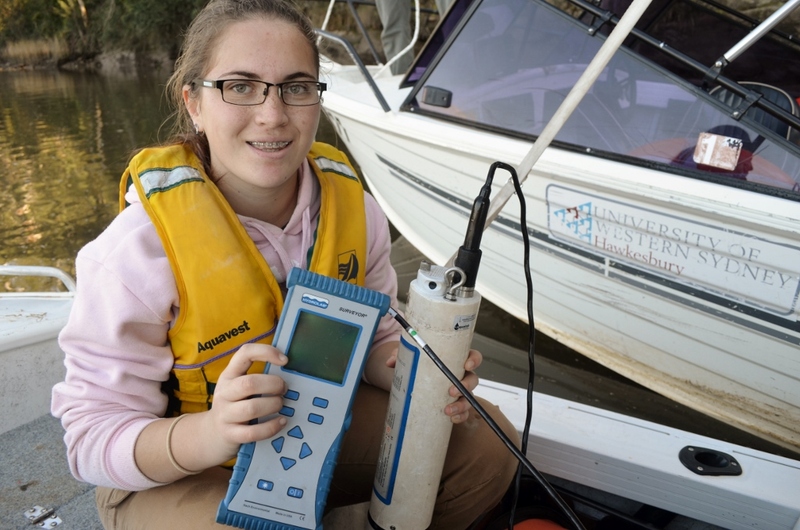 Yr 11 Science students from various schools have been donning their ecological stethoscopes here at Brewongle EEC for the last 6 years to test the health of the Hawkesbury River at Sackville. 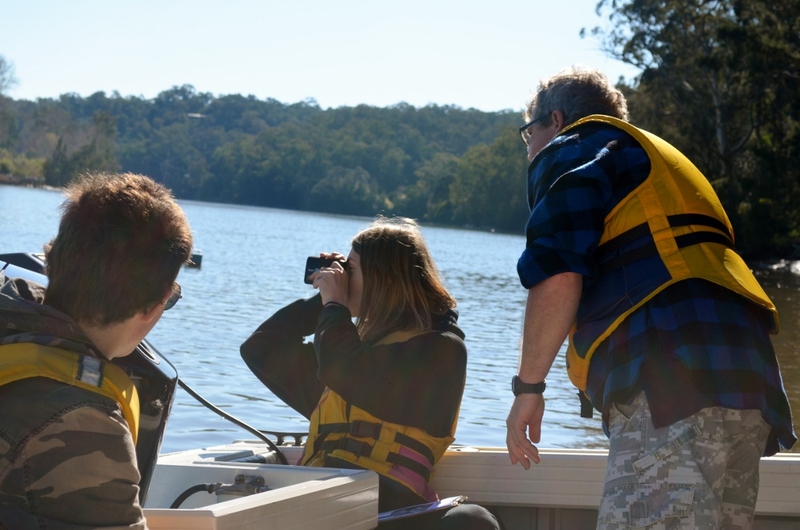 Thanks to the University of Western Sydney (UWS) Hawkesbury Campus, students have access to sophisticated river monitoring equipment and expertise. Students partake in a university style field work experience and learn hands on, relevant science skills. The program is endorsed by the United Nations University via the Regional Centre of Expertise on Education for Sustainable Development located at UWS Hawkesbury campus. This program is offered on six days throughout the year – it books up fast so please call us if you would like to involve your students. You can find more information on the program here. 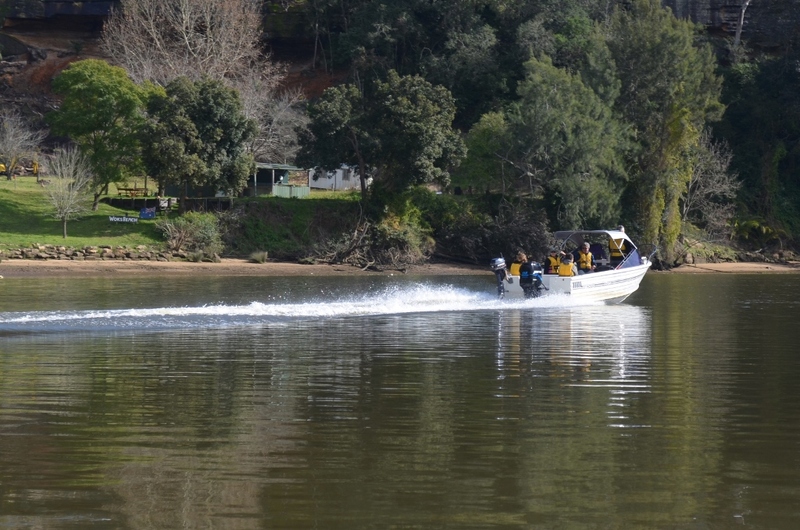 It is a sensational classroom to have on a sunny day as students zoom down the Kent Reach in powerboats provided by the University to analyse some physical, chemical and biological aspects of river health. 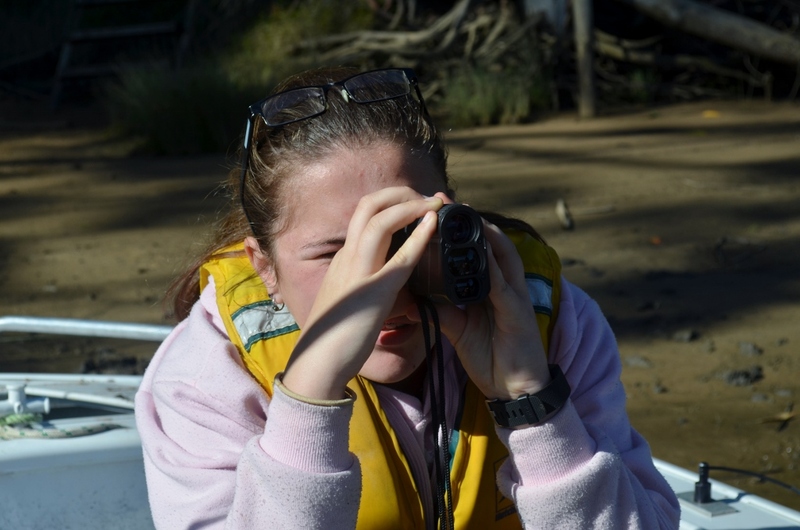 Students who participate in this program undertake a series of assessments throughout the day to provide a river health report by the end of proceedings. We hope the real learning is to value and love our waterways. Having a first hand understanding of river health can only help these young people grow up to make good decisions for our natural resources and informed choices about how to manage water. Tests undertaken on the day include measurements of width, depth, temperature, acidity, salinity, oxygen levels and turbidity. 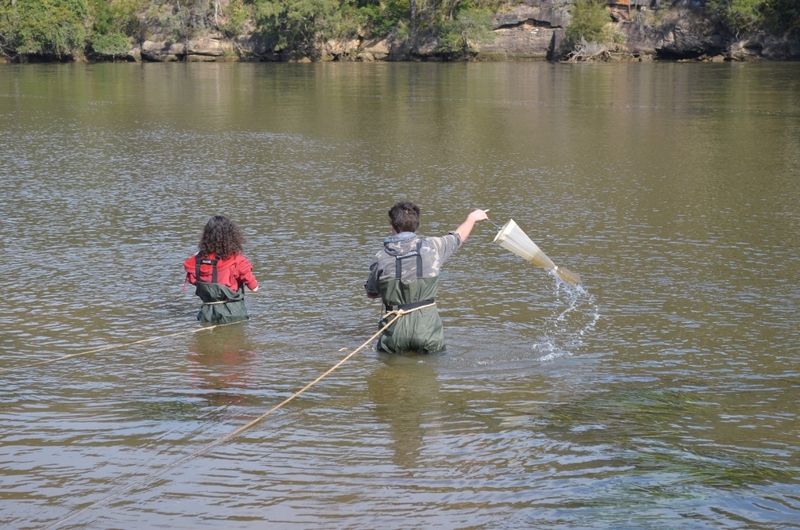 These physical and chemical parameters provide a snapshot of river health and students discover how to interpret this data and provide a diagnoses of any river problems they find. Most of the treated sewage effluent from Western Sydney ends up in the river, sometimes accounting for about 60% of the flow. Students examine the effects of this effluent by sampling algae. Changes in algal numbers and diversity are an excellent biological indicator of river health and can show marked changes in the high nutrient environments that sewage effluent can create. Thanks to Galston High School for being our photograph subjects! Measuring river width with a range finder. 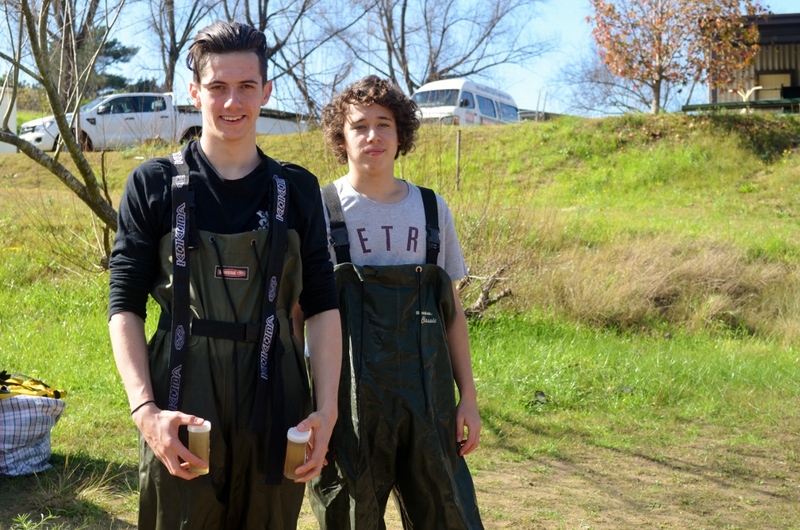 A fashion highlight of the day includes the donning of waders to experience the joys of collecting algae as well as completing a comprehensive erosion assessment on a section of riverbank. 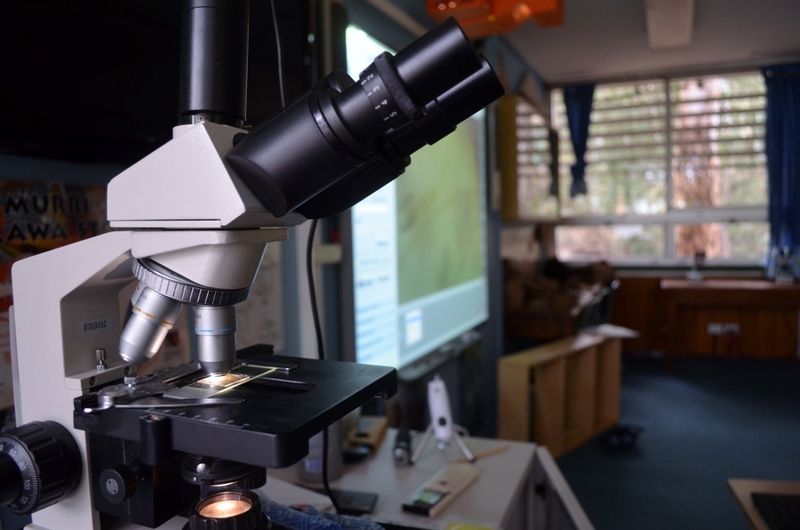 Upon returning to the lab, students magnify their algal samples and identify species to obtain a biodiversity assessment. Students then evaluate and synthesis their data to provide recommendations on how we can remediate and improve our waterways. This valuable program would not be possible without the ongoing support of UWS and the UWS Office of Sustainability and we thank them for their ongoing commitment to school education and enrichment programs. Saw your post today about this excursion. This is one of my fav excursions for Yr 11. ← Last call for Writers Camp nominations – Stage 3 students. Thanks Pete! The day could not happen without your good self – thanks for supporting and sharing your expertise with us and the visiting students. Hi, just doing some research on river health and caught this in my search, had a read thus more interest, how can one access the series of final reports mentioned? Is the river health improving or deteriorating? How is the connectivity of terestrial to in stream fish habitat assessed? Are you monitoring saltmarsh and mangroves? Hi Malcolm, thanks for your comment and reading the blog. Our river data (collected by high school students over the last 6 years) is still in paper form. However, in conjunction with UWS we are looking to place the data online on the Harwest website http://www.uws.edu.au/harwest. This site is still under development by the University and does not have all water quality data available yet. River health is improving in some areas and a good research paper by Pinto et al discusses these improvements in water quality. http://link.springer.com/article/10.1007%2Fs10661-012-2888-2. He has reviewed the best data available on the Hawkesbury River. We do not look at fish habitat or connectivity to terrestrial habitats and the section of river we look at does not have saltmarsh or mangroves.